Scientists gave octopi MDMA, the results were "unbelievable"
Boy octopus meets girl octopus, and then they fall into one another's (many) arms. National Geographic's Enric Sala took this photo during an expedition in Gabon. He and another researcher were using a remote operated vehicle to explore the ocean off the coast of that country's Loango National Park. When we picked up the shell from the ROV’s arm, to our surprise, a small octopus came out of the shell. It was a female that laid her eggs inside the shell. 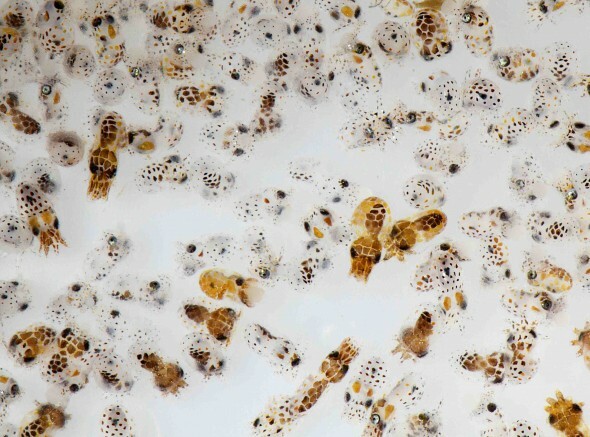 We put shell and octopus in a tank with seawater, and after one minute thousands of octopus larvae started to stream out of the shell. The octopus eggs were hatching! That was the first time we had observed such a magnificent show. The larvae were changing coloration from transparent with dark spots to brown, and swimming like squid – although on a millimeter scale.